The Honorable Minister of Transportation, Mr. Rotimi Amaechi, on Tuesday charged the Union of African Shippers’ Council (UASC) to urgently review issues pertaining to high freight rates in the region and to proffer workable solutions. The Minister spoke on the occasion of the sub-regional workshop and Joint Standing Committee Meeting of the UASC holding in Abuja and organised by the Nigerian Shippers’ Council and the Union of African Shippers’ Councils. 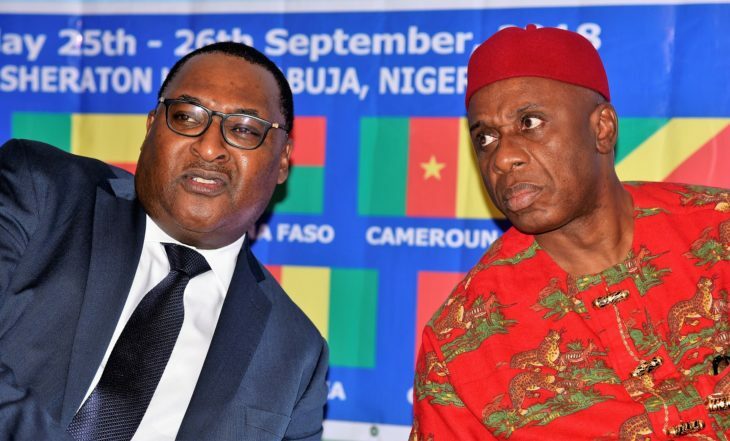 He said the review would be necessary considering that high freight rates, arbitrary imposition of surcharges constituted trade barriers in Nigeria as well as in West and Central African countries, posing obstacle to the development of international trade in the region. Amaechi said that the great economic potentials in the sub-region especially in the maritime sector must be harnessed and exploited through concerted efforts and collaboration of member states for the sustainable growth of national economies. “It is our fervent hope that in the challenging trading climate, UASC members would strive for greater meaningful dialogue with trading partners, providers and users of shipping services, as well as other key stakeholders in the maritime supply chain. “It would assist in alignment of stakeholders’ interests leading to the development of more efficient and sustainable maritime supply chains and shipping services,” he said. The minister expressed the willingness of the Federal Government of Nigeria to adopt the resolutions and communiqué reached at the workshop and the meeting and implement them for the benefit of all stakeholders in the trade and transport industry.